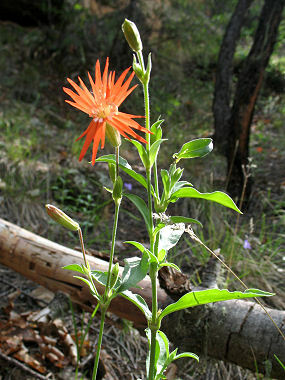 Mexican Silene is a member of the Pink Family (Caryophyllaceae). It grows to 3 feet in height and has dark green, lance shaped leaves covered with fine hairs which grow to 6 inches in length. The plant grows in coniferous forests at elevations between 5500-9000 feet. 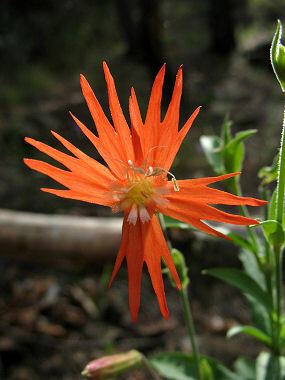 Mexican Silene is also known as Mixican Campion or Cathfly. Mexican Silene blooms between July - October and produces red flowers with 5 petals, each of which has 4 forks to 1.5 inches in width.